Almost twenty years ago Clayton Christensen popularized the term disruption in his book The Innovator's Dilemma, describing it as a set of risks that established firms face. Since then, few have closely examined his account. Joshua Gans does so in this book. He looks at companies that have proven resilient and those that have fallen, and explains why some companies have successfully managed disruption while others have not. 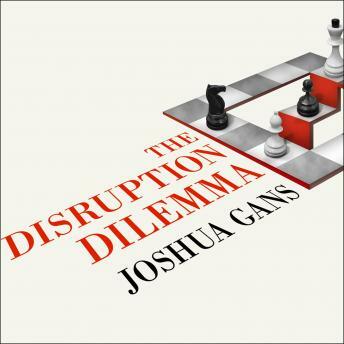 Departing from the conventional wisdom, Gans identifies two kinds of disruption: demand-side, when successful firms focus on their main customers and underestimate market entrants with innovations that target niche demands; and supply-side, when firms focused on developing existing competencies become incapable of developing new ones. Gans describes the full range of actions business leaders can take to deal with each type of disruption, from 'self-disrupting' independent internal units to tightly integrated product development. But therein lies the disruption dilemma: A firm cannot practice both independence and integration at once. Gans shows business leaders how to choose their strategy so their firms can deal with disruption while continuing to innovate.